Friesens held a Book Manufacturing Seminar May 28–30, 2018. We hosted eight participants from Vancouver Island, California, Washington DC, and Alaska. During this intensive three-day seminar, we studied all aspects of producing a book, from initial file preparation through to the final bindery process. Over the course of the three days, we manufactured a book together and were directly involved in all stages of the book’s production. 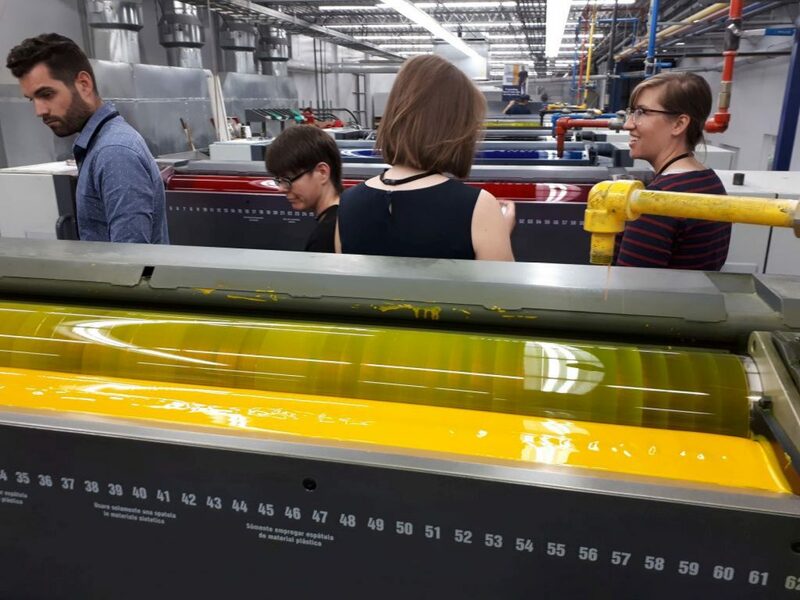 The seminar started with an in-depth tour of all production facilities at Friesens, including the Book, Web, Yearbook, Digital, and Packaging Divisions. Next, a production manager came in for a classroom discussion on a particular stage of book production, after which we headed out as a group to the production area to work on that particular stage of producing our own book. We followed all stages of our book’s production over the course of the three days in this way. Other educational opportunities were interspersed along the way while we were waiting for certain aspects of our book’s production to be completed. The managers providing the education also joined us for meals for a more one-on-one conversations with the participants. feed them, house them, train them, and get them back to the Friesens is a unique company, and this seminar is truly a unique experience. If you are interested in learning more about the Book Manufacturing Seminar, please contact your local sales representative.